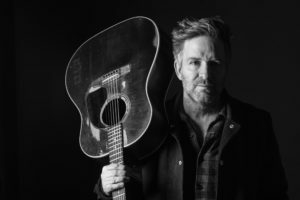 New West Records released five solo albums, and invitations from mentors Lucinda Williams, John Hiatt, and Steve Earle as a support act followed. His ninth solo album, American Fork, was a grand departure from his previous efforts, featuring a fully fleshed-out backing band, musicians, and elaborate song arrangements. Recently, Easton reached the milestone of having 100 published original songs which he celebrated by releasing a hundred solo performance videos on a hundred consecutive days, mostly from his home in Nashville, Tennessee, on his personal YouTube channel, and publishing a book of 100 lyrics. A brand new, solo acoustic album recorded Direct To Lacquer in Bristol, Virginia will be released in April 2018.